Ah, the honeymoon. The most romantic trip of your life with the most important person in your life. Of course, you want it to be perfect, so to help make it a trip to remember, we’ve put together a guide on the best honeymoon hotels in Sri Lanka. Is Sri Lanka Good For Honeymoons? 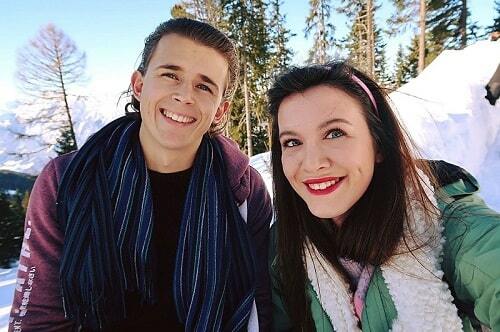 In one word: yes! Sri Lanka is an amazing destination for a whole host of reasons, but for couples and honeymoons, it’s such a romantic place. 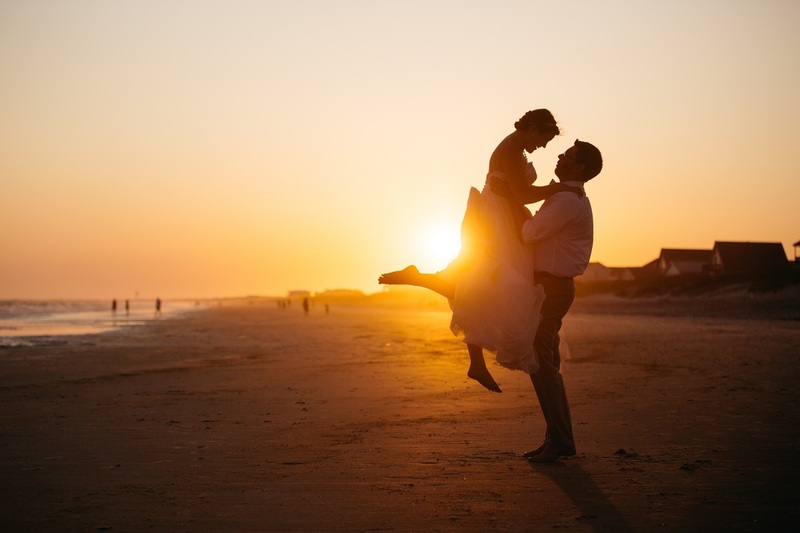 There are romantic spots all over the island, simply perfect for a honeymoon. I will take you through my favourite honeymoon spots around the country. Is Sri Lanka expensive for honeymoons? Sri Lanka can be as cheap or as expensive as you want it to be. It has the potential to find fantastic hotel deals with luxury and swimming pools for great value, but if you want to splash out with fancy resorts and unique experiences, then there are plenty of chances to spend your money. So it can be exactly what you want it to be- budget wise. This makes it a fantastic place to visit. What are the top locations for a honeymoon in Sri Lanka? Personally, I think any destination in Sri Lanka can be made into a perfect honeymoon location since the whole country is amazing. But, in the interest of being specific, I’ve listed some areas I think are particularly special and have fantastic honeymoon hotels. Sigiriya is one of my favourite spots in Sri Lanka due to its beauty, historical significance and fantastic weather. 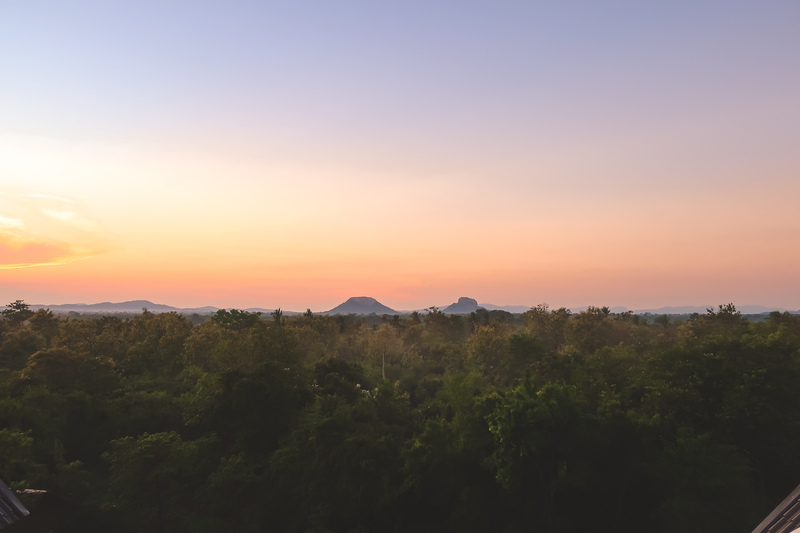 You can take a romantic balloon ride and see the fantastic Sigiriya rock from above, visit Minneriya National Park on a personal safari ride spotting elephants, lions and bears all whilst relaxing in a 5-star resort with fantastic jungle views and a stunning ambience. You can even take a short trip (30 minutes) to Dambulla and visit Cave Temple if you want to explore some cultural aspects of Sri Lanka and you could even hike up Pidurangala Rock. This is the perfect place for a secluded beach getaway. 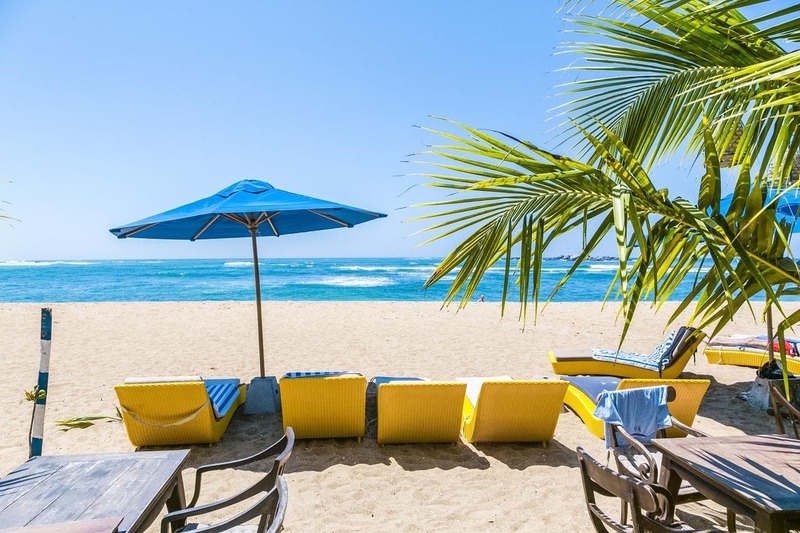 Charming beaches, dining on your private area of a beach, swimming, snorkelling and surfing together, Mirissa has it all for a romantic honeymoon destination. You’re even close to national parks for brilliant animal spotting moments. Why not even camp under the stars with a stay in Yala national park? Mirissa is also famous for its fantastic sunrises and sunsets, so it’s ideal for those creating picture perfect memories together. Do you want a honeymoon with a difference? Rather than soaking up a sun, why not surround yourself with beautiful tea fields in the heart of “little England” of Sri Lanka. You can dine with views of waterfalls, secluded mountains, stunning greenery and so much more. 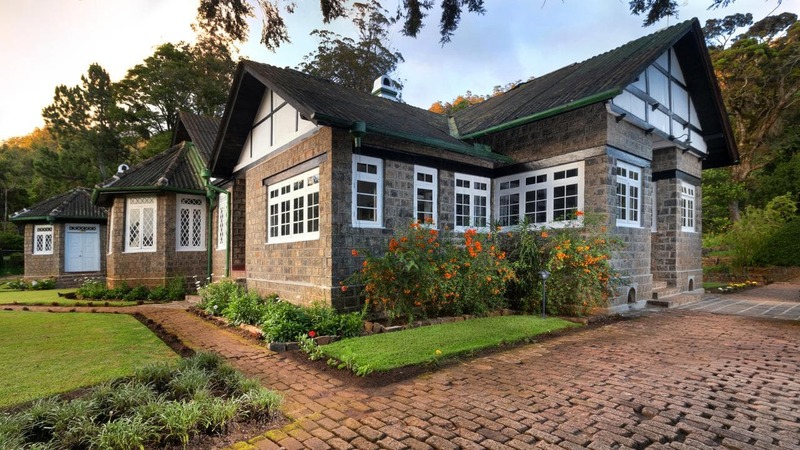 Nuwara Eliya offers the chance to take romantic hikes, chase waterfalls, go bird watching, sip authentic tea, wander through botanical gardens and much more. Looking for private beaches, 5-star resorts and stunning surroundings, then Trincomalee has it all. Enjoy candlelit beach dinners with fine champagne, romantic massages for two, boat rides, snorkelling opportunities and much more. The beaches offer white sand, clean water and the perfect conditions for walking on the beach. Now that we’ve discussed my favourite honeymoon spots in Sri Lanka, simply based on my own preference and experience of being there, let’s look at romantic things to do in Sri Lanka in general. I’ve listed 10 for inspiration and hopefully, it will show you just how romantic Sri Lanka can be. Okay, now for the good stuff: honeymoon hotels in Sri Lanka. Let’s begin with an overview of my top 6. Check out my guide on picking a safari in Sri Lanka. Want a 5-star experience in the beautiful countryside of Sri Lanka? Then the 98 acres resort and spa is like no other. It’s set within 98 acres of tea fields and it’s surrounded by beauty. 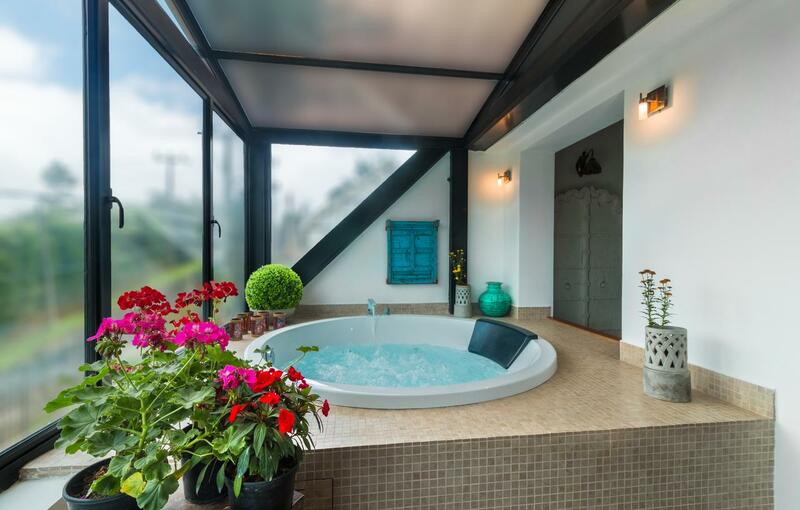 You can opt for a room with your own private pool for the ultimate honeymoon experience. I have dined at this hotel and the food is fabulous and the view is unbelievable. If you want a truly unique hotel experience this then it the honeymoon hotel in Sri Lanka for you. One of the most sought after and searched for honeymoon hotels in Sri Lanka is the Elephant Corridor Hotel. It’s no surprise really, it’s amazing. It’s basically a hotel that feels purposely built for couples to have an amazing, romantic experience in Sigiriya. 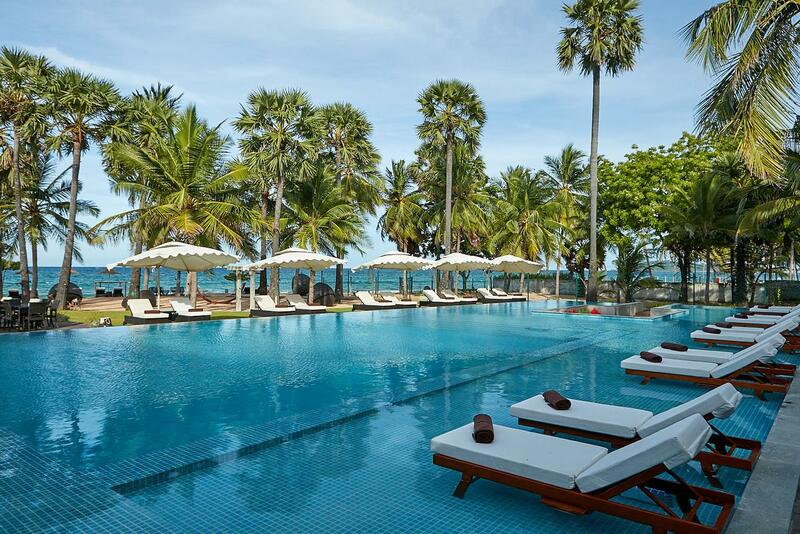 You’ll feel nothing short of a celebrity during your stay here and it’s still an extremely reasonable price for a 5-star resort of this standard in Sri Lanka. The accommodation is unbelievably brilliant. This would be a honeymoon to remember. Prices begin at £95 per night and rise to £340 depending on your choice of accommodation. Located in beautiful, secluded Mirissa, this hotel is everything you dream of when it comes to honeymoon hotels in Sri Lanka. Imagine dining on the beach whilst catching a stunning cocktail with a glass of champagne in hand. That dream is a reality here. You’ll be treated like kings and queens at this beautifully modern and styled resort in Mirissa. Okay, as I write this, I literally want to have my honeymoon here. This place is BEYOND AMAZING. 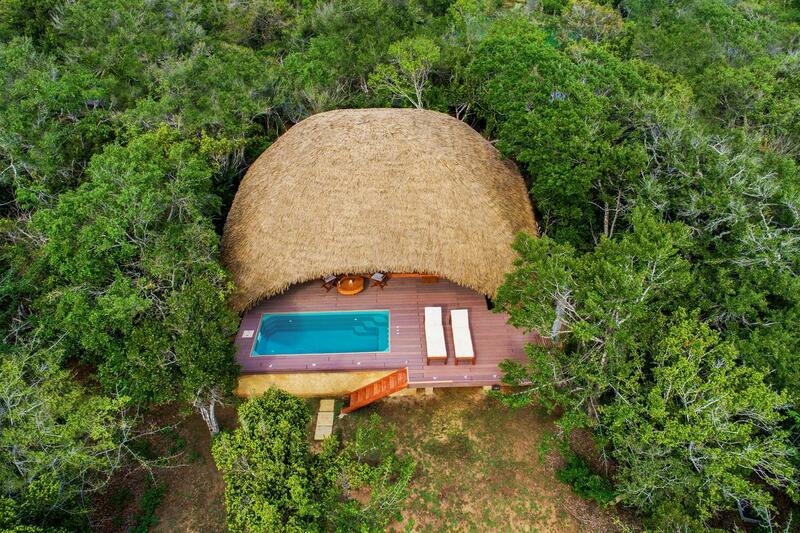 Imagine an all-inclusive luxurious beach cabin with your own private pool, amongst beautiful jungle, AND a free safari. Sound amazing? It’s possible. If someone goes here on their honeymoon, could you please take me with you? OR at least tell me how amazing it was. It’s pricey, but it’s all-inclusive, and it’s your honeymoon. This is a once in a lifetime experience, and you deserve it! 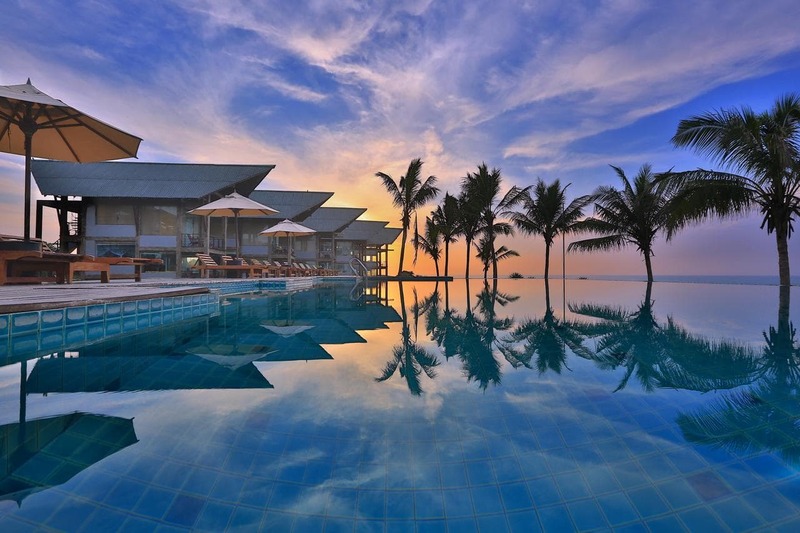 Located in Tangalle, this resort is a stunning honeymoon hotel in Sri Lanka. It oozes beauty, luxury and class. Dining on the beach picnic and dinners (private of course), private pool and much more. Luxury at it’s finest. Prices begin at £146 and rise to £700 depending on room and board you choose. If you're looking for a unique honeymoon hotel in Sri Lanka, well it doesn’t get more unique than this: staying in a luxurious tea factory! Located in the misty mountains, this hotel experience comes with a stunning view. You’ll even get a chance to do a tour of the tea fields and see the local wildlife and community on your romantic nature treks. You will be able to pick your own tea and process it in the mini tea factory so you can take some Sri Lanka home with you! Some of those prices above make your eyes water?! Yeah, me too. Don’t worry though, there is still a range of fantastic honeymoon hotels in Sri Lanka that won’t cost you an arm and a leg. I’ve included my top 4. This 5-star accommodation in Trincomalee offers 5-star service at a 2-star price tag. It’s a fantastic choice for cheap honeymoon hotels in Sri Lanka. Boasting modern and beautifully styled accommodation, beachfront accommodation with on beach dining and a large swimming pool, it’s the perfect honeymoon spot on the east coast of Sri Lanka. This is an excellent place to enjoy romantic memories with your loved one. Watersport facilities are available on the beach you’re located at too. Prices begin at a fantastic £70 per night. 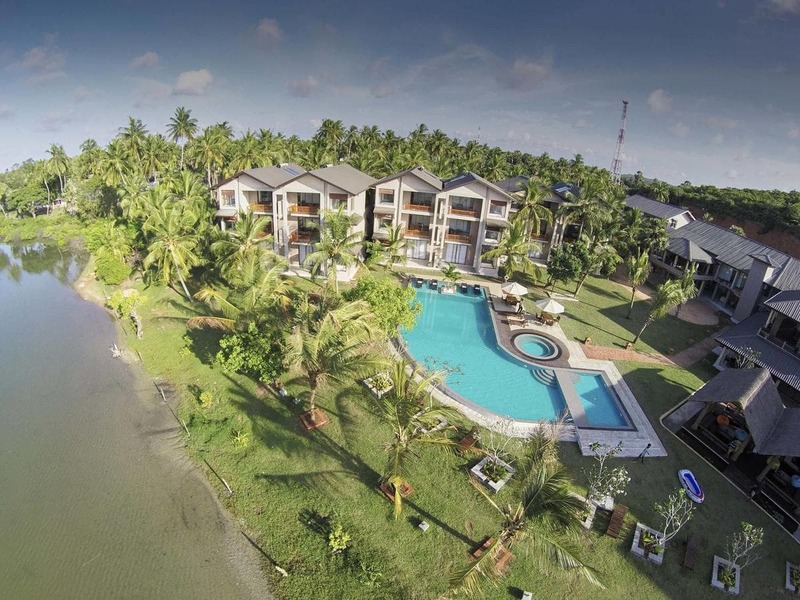 Looking for that Yala accommodation but at a reasonable price? Then we’ve found it. This 4-star accommodation oozes class and style but won’t break the bank. It’s tucked away near the sea and offers stunning sea views. There’s an outdoor swimming pool, spa and much more. This is without a doubt one of the cheap honeymoon hotels in Sri Lanka that offers the best value. It’s a 4-star resort located on the beach front with a massive swimming pool, beautiful rooms, on-beach dining and so much more..all for only starting at £36 per night!!? Whatttt. 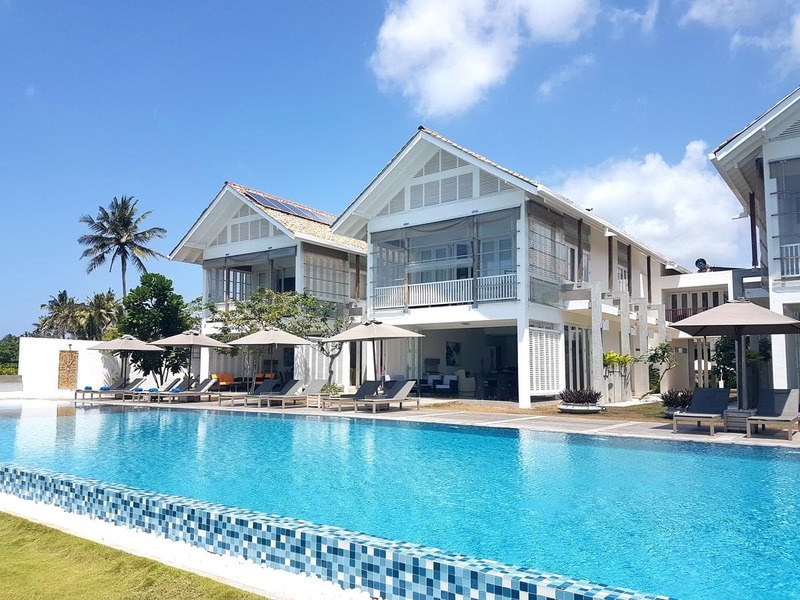 If you were hoping for the bungalow and private style accommodation for your honeymoon, steps from the beach in Trincomalee, then you’ve found it at a great price. 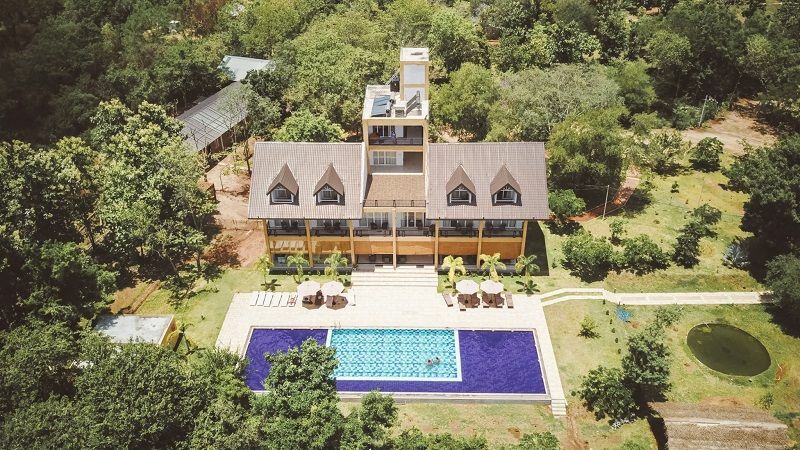 Another great property for an excellent price located in Trincomalee, this 5-star resort and spa bring luxury at a small price tag, so you can afford to splash out! You’ll experience a world-class stay. You can choose from a beautiful double room that’s elegantly styled or an EXCELLENT priced junior suite with your very own Jacuzzi in room with a view. When it comes to the best cheap honeymoon hotels in Sri Lanka, this is my favourite! It’s EXCELLENT value! Honeymoon cottages are often a popular choice of accommodation for a honeymoon, simply due to the cosy nature and privacy you attain. So, I’ve listed some of the best honeymoon cottages in Sri Lanka. A 5-star bungalow with 5-star service located in the little England of Sri Lanka. 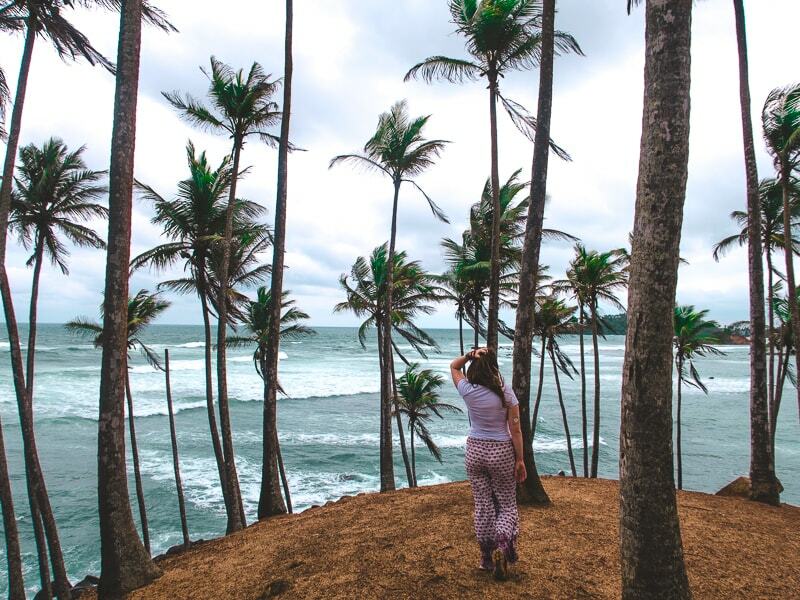 It sounds good, doesn’t it…Imagine a honeymoon cottage in Sri Lanka surrounded by beautiful, lush, green nature, a warm cosy real fire in your cosy living room with a bottle of fine champagne on ice. The cosiest bedrooms you’ve ever experienced and much more. For the ultimate cosy honeymoon oozing luxurious touches, this is an experience like no other. Located on Little England street, a stay at Kent cottage will transport you into a classic English village street, complete with gorgeous views and surroundings. 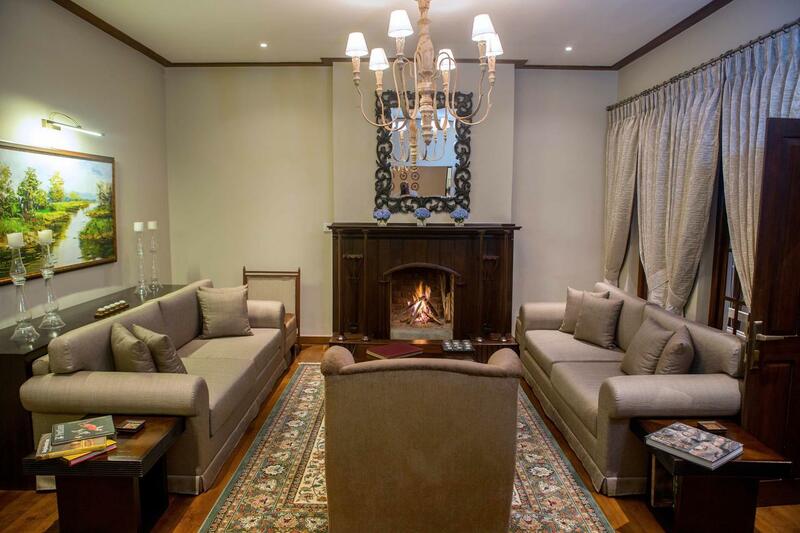 You will feel like kings and queens this elegantly styled antique home. 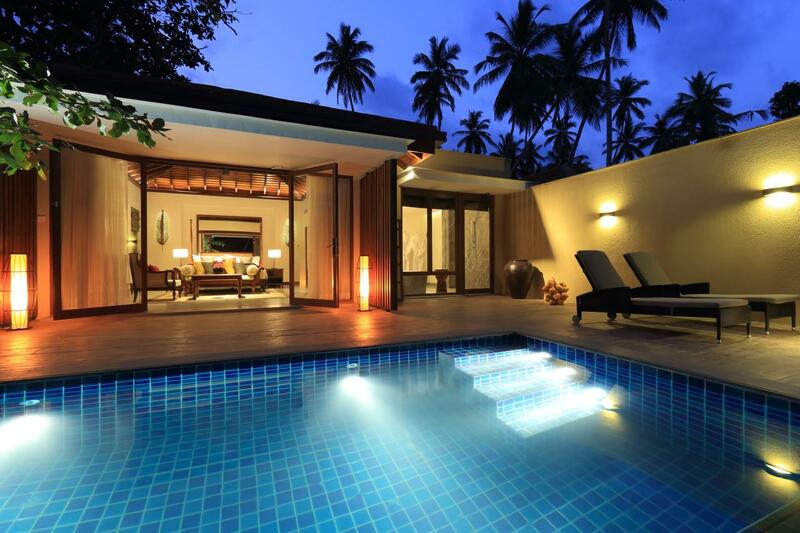 Another beautiful 5-star honeymoon cottage in Sri Lanka. If you want to feel like a royal with this antique styled property, then this could be your dream property. Transport yourself to Scottish with delicious tea and shortbread. This is the perfect place for a relaxing escape amongst the tea fields of Sri Lanka. None of the accommodation choices I have mentioned excludes locals, so these work out as the best honeymoon hotels in Sri Lanka for locals too! 4-star accommodation with ocean and beach front views in beautiful Unawatuna, the area of Sri Lanka renowned for its beautiful beaches. If you enjoy amazing sunset and sunrise views, fine food and wine, then this is the spot for you. No one does luxury quite as well as the Marriott hotels and this resort and spa in Weligama is no exception. With beachfront access, two swimming pools and stunning views, this is an unbelievable honeymoon destination. If you like staying in a hotel that you know guarantees a certain standard of service and luxury then the Marriott will always deliver. Prices start at £155 per night. This is one of the amazing hotels Bradley and I had the chance to stay in and it's located in Sigiyra with a view of Sigiyra rock, a stunning swimming pool, a honeymoon suite featuring a Jacuzzi bath, amazing staff and food all in a brilliant location. It's also super affordable and great value. It's a very romantic spot and I highly recommend it. So there you have it, your ultimate list of the best honeymoon hotels in Sri Lanka have on offer. Your only problem now will be choosing a property! Maybe you can stay in a few places whilst exploring all of Sri Lanka on your honeymoon adventure. You may have noticed that throughout this I link through to booking . com and there are a few reasons why I do this. Bradley and I have been using booking.com for years and I’ve never found a better deal on the internet. They offer the highest selection of rooms we’ve ever found and you can get some amazing discounts and deals on 5-star resorts and more. When you book with them more than 3 times, you get access to their genius program which brings you 10% off selected bookings (i.e most bookings), you get little perks like early check-in, early check-out, free breakfast, welcome drink on arrival, or even free bike rental. It’s these little things that make them brilliant to stay with. If for some reason you find a cheaper price for a room on another website, booking.com will refund you the difference. I’ve never experienced this myself as it’s always been cheapest (always cheaper than going directly too), but you simply can’t find a cheaper website because they price match anyway! So that’s why we use them. So, I hope you’ve enjoyed my post on the best honeymoon hotels in Sri Lanka. If you’d like some inspiration on what to do on your honeymoon, including romantic activities, I’ve linked through to our travel guides on each destination. Sri Lanka is one of our favourite countries in the entire world and you will truly have a memorable and amazing experience if you visit there. Last Tip: A lot of people go to the Maldives for their honeymoon, but can’t afford a full stay. It’s easy to get to the Maldives from Sri Lanka, and it’s cheap. So you can have a Sri Lankan honeymoon with a taste of the Maldives too if you wish. This is what makes it a perfect honeymoon destination! If you’re looking for honeymoon hotels in Kandy search here. If you’re looking for honeymoon hotels in Colombo search here. If you’re looking for honeymoon hotels in Arugam Bay search here. ‍Backpacking Sri Lanka: A Ridiculously In-depth Guide! Want amazing tours in Sri Lanka?